Second hand tablet presses? be on the safe side. 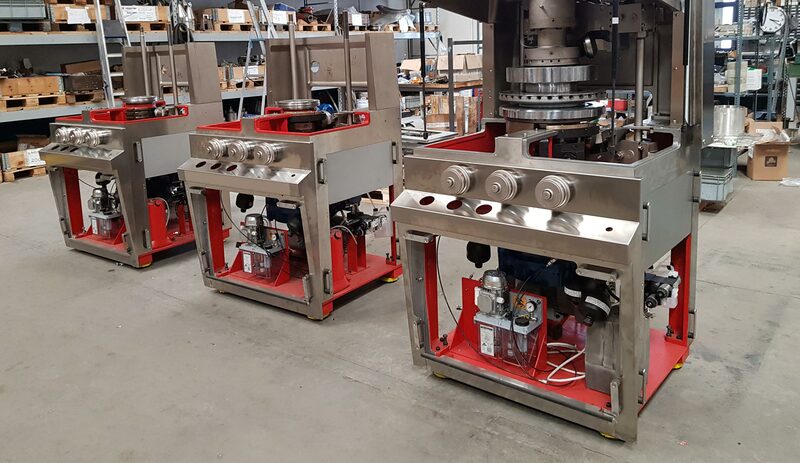 Our warehouse of used tablet presses is among the best-supplied in Europe. 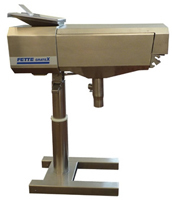 At your disposal there is a wide range of Fette tablet presses and other established brands, customizable according to your needs: standard machines overhauled, rebuilt with latest generation accessories and peripherals, integrated with electronics and automation systems. 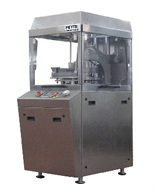 High production rotary machine with a three-chamber forced feeder that can be easily dismantled. 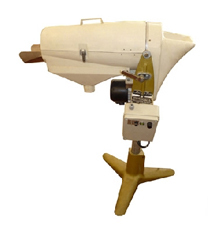 Front control of the powder dosing, electrical control panel integrated in the machine, mechanical adjustment of the compression force with compensation through the transverse spring. Lower punches in oil bath, speed adjustments through frequency controller. High production rotary machine with a three-chamber forced feeder that can be easily dismantled; the machine can produce single-layer tablets with two discharge chutes or two-layer with a single discharge chute. 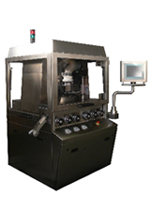 All controls are assembled on a single dashboard, centesimal hand wheels for adjusting the tablet thickness, the filling depth and the upper punch penetration. The compression and pre-compression forces are independently adjustable through a hydraulic pump with gas compensators. The machine can also be equipped with compression force reading and automatic dosing adjustment. 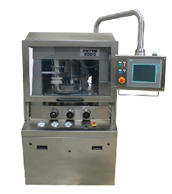 High production rotary machine with a three-chamber forced feeder that can be easily dismantled; the machine can produce single-layer tablets with two discharge chutes or two-layer with a single discharge chute. The compression and pre-compression forces are independently adjustable through a hydraulic pump with gas compensators.